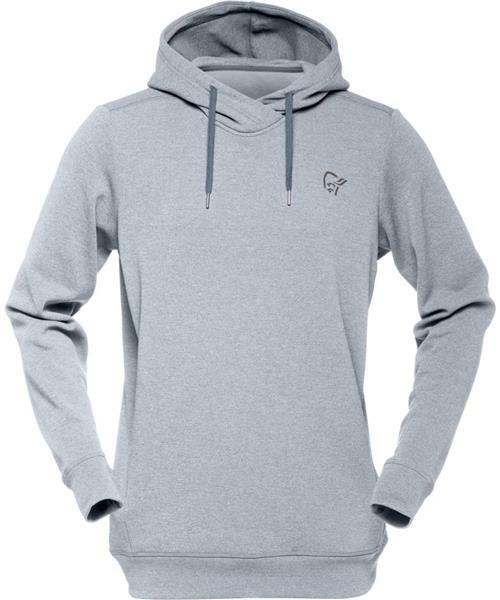 A comfortable men's hoodie to pull on after tough workout sessions or a day at the beach. Made of a soft polyester fabric, with features including a hood, zipped kangaroo pocket, and banded cuffs and a slim sleeves to keep the cold out. * Fabric: warm2 - Weighing between 200 and 300 grams/m², these fleeces allow a good combination of warmth and moisture transportation. They provide more bulk and trap more air than our warm™1 fabric. These fleeces are among the best in the market. Their unique constructions and structures are perfect for different types of activities, as they trap warm air without stopping moisture transport. When used alone, the fabrics are open enough to allow air to circulate, making you feel comfortable in milder conditions. Under a shell they provide excellent insulation values. /29 Warm2 Hoodie - Mens is rated 4.0 out of 5 by 1. Rated 4 out of 5 by Jason Klotz from Great buy I bought this about a month ago and its amazing It is a very warm sweater on its own and even is eve good as and under layer. It does a great job and managing moister and it keeps you very comfortable.